In the early years of WW II, Adolf Hitler was given a birthday gift by architect Albert Speer. Speer’s gift was a model of the new Berlin city that Hitler’s regime would soon forge in a new world order. The illustration of the model city was described by Professor Paul Jaskot as a representation of the Roman Empire, leading into the National Socialist’s party’s plans towards architectural and cultural dominance. 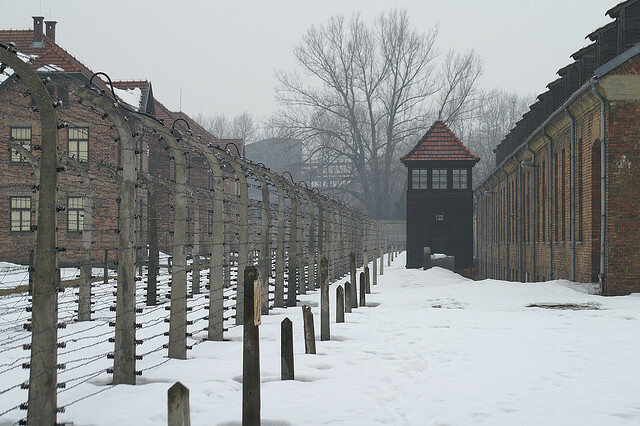 Jaskot, professor of history of art and architecture at DePaul University, led a discussion on the goal of National Socialist architecture called ‘The Built Environment at Auschwitz: Between Imperial Ambition and Genocide’. He said the buildings’ purpose was not only to control and influence the population but also to enforce dominance over the labor camps. One of the largest was Auschwitz. Jaskot’s research into the architecture of Auschwitz in particular goes into the agenda of the Nazi party and the SS headed by Himmler. His work along with the GIS Project comprising of architects and art historians attempts to reconstruct the buildings the Nazi’s planned for their new empire. “The intersection of the cultural priorities of the SS, the organization of forced labor for construction and the intertwined goals of racist genocide and imperialist ambitions in the East have yet to be compressively explored,” said Jaskot. The presentation focused on the cultural scale and façade the National Social party tried to accomplish during WWII. Jaskot explained through images what the labor camps, such as Auschwitz, went through to construct large scale camps that were to be the future of German society. 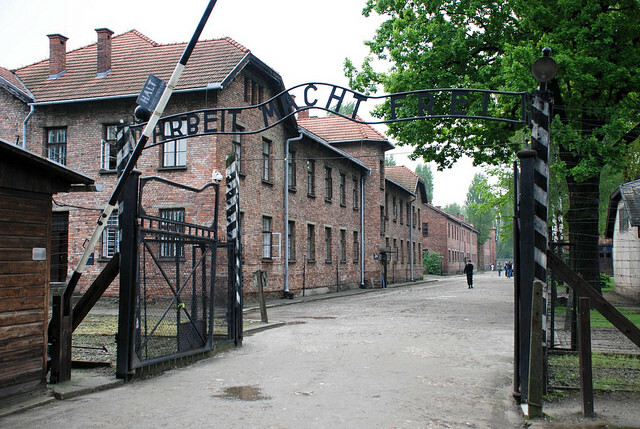 The professor stressed that the camps were constantly being worked upon by victims, even building structures such as gates and watch towers that were only for aesthetic purposes. He explained that these buildings may have only been to impress the outside world but required large amounts of work in quarries, taking many lives. A large component of the lecture employed digital maps that measured the development of the labor camps. Jaskot pointed to several blueprints with faded pen marks from the National Socialist party planning new expansions. Jaskot explained that learning about the architect and imperial plans of this time period can help further understand the genocide of the Holocaust.